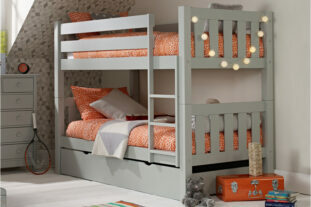 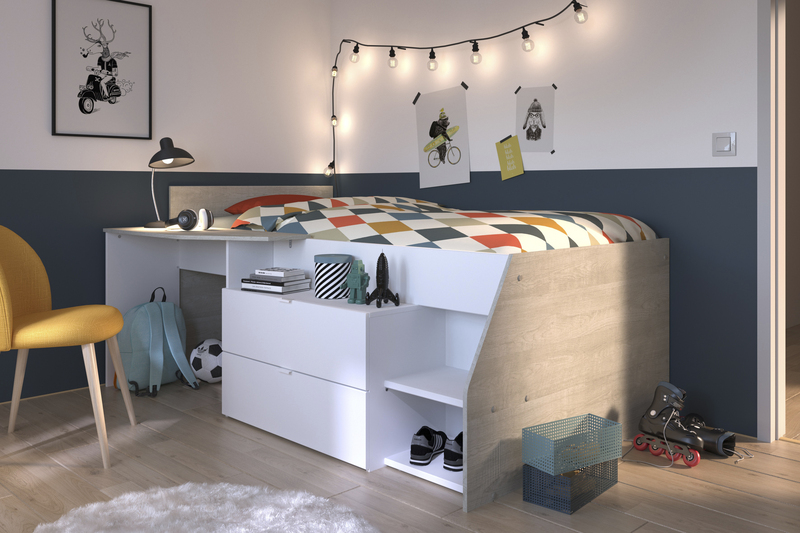 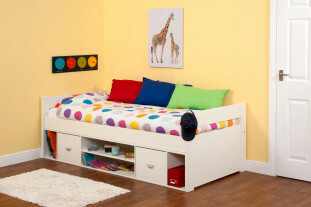 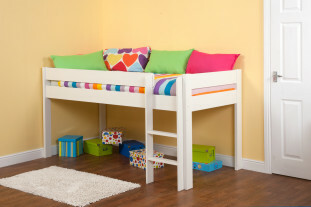 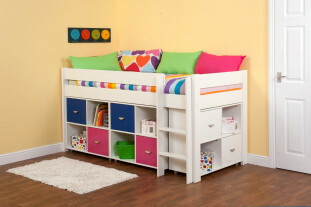 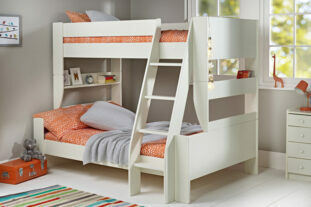 Brand new to Parisot, the Cairo Midsleeper. 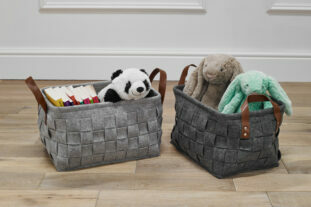 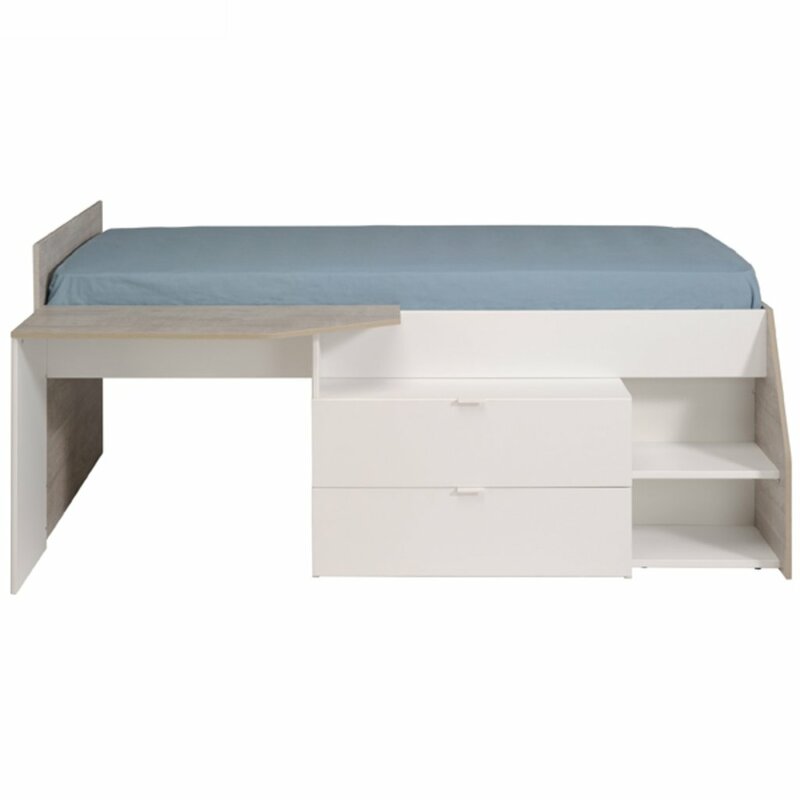 This fantastic bed is the perfect sleep, study and storage combination. With it’s intergrated desk, underbed drawers and wide steps it’s a great space saving solution. Manufactured from a sturdy high density particle board and finished in a clean white and loft grey. 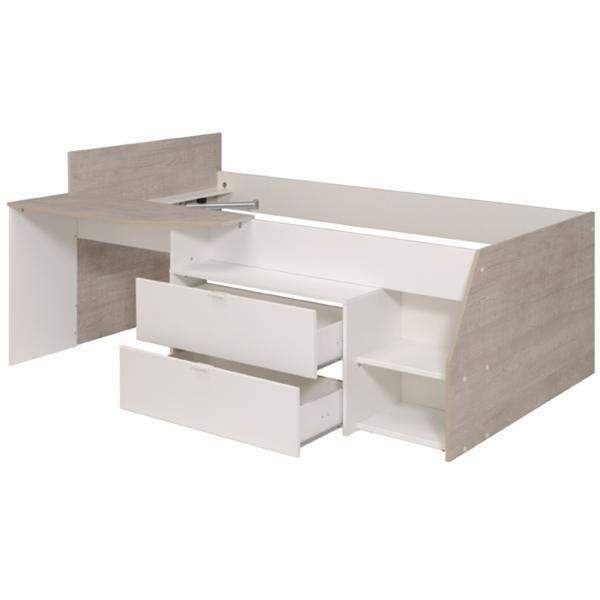 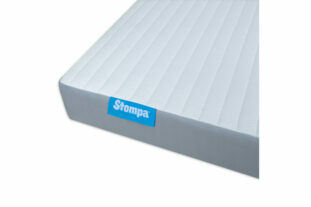 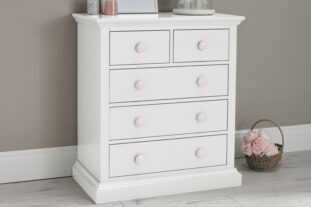 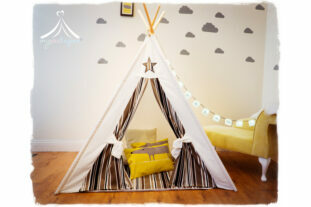 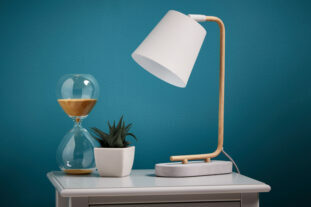 * Manufactured from high density particle board and finished in fresh white and loft grey.